Sarah Clarke is an experienced advocate, specialising in Employment, Commercial and Personal Injury law. Acted for the Claimant in an application for a restricted reporting order in a claim against an Academy and the Principal regarding allegations of sexual harassment. Unusually it was the Respondent who sought the order, and this was successfully opposed by the Claimant. The matter was widely reported in the press. Sarah also has substantial experience in relation to interim injunction applications in the High Court to enforce restrictive covenants. For more information on this area please see her Business and Commercial Profile. Sarah has been appointed to the barrister panel of ELAAS (the Employment Lawyers Appeals Advice Scheme). ELAAS is a service offering pro bono employment law advice to appellant and respondents where there is a preliminary hearing in the EAT with no previous legal representation on record. She therefore has vast experience of rule 3(10) permission hearings. Please click below to read the case law update. 3PB Employment barrister Sarah Clarke provides a case law update covering the past month. Sarah's update includes: Dismissal connected to absence because of cancer treatment was not discrimination arising from disability: Charlesworth v Dransfields Engineering Services Ltd; If an employee working night shifts is required to 'sleep in' at the premises, are they entitled to NMW for this time? It depends, says the EAT in 3 conjoined appeals: Focus Care Agency Ltd v Roberts UKEAT/0143/16/DM; Frudd v The Partington Group Ltd UKEAT/0244/16/DM; and Royal Mencap Society v Tomlinson-Blake UKEAT/0290/16/DM; Where an employee works in more than one EU state, the employment contracts fall within the jurisdiction of the country where, or from which, the employee principally carries out their obligations: Nogueira and others v Crewlink Ltd C-168/16; Moreno Osacar v Ryanair, formerly Ryanair Ltd C-169/16. Sarah accepts instructions in all areas of personal injury work, including accidents at work, road traffic accidents, public liability disputes and holiday claims arising from The Package Travel, Package Holidays & Package Tours Regulations 1992. Sarah is regularly instructed in fast track and multi-track trials and interlocutory hearings, including costs and case management hearings. Acting for the defendant in a claim in which the claimant alleged that an injury had been caused in a road traffic collision, but the defence was that in fact the injury occurred in a betting shop and was thus a fraudulent claim. Acted for the defendant in a road traffic accident claim in which the defence was that the claimant was lying about having sustained any injury. Involved allegations of fundamental dishonesty and consideration of section 57 of the Criminal Justice and Courts Act 2015. Acted for the defendant in a road traffic accident claim in which there were five claimants, all of whom had allegedly been injured. There was evidence of a substantial number of previous claims and major inconsistencies in the medical records and expert reports which required detailed cross-examination. Acting for the Claimant in a slip and trip claim brought against her local authority, as a result of which the claimant developed CRPS. Sarah regularly advises on quantum issues as well as conducting trials dealing with complex quantum issues. She frequently is instructed to draft pleadings, including complex schedules of loss incorporating future care claims, future treatment, loss of earnings, loss of pensions and Smith v Manchester awards. Damage caused to teeth, often necessitating future treatment. She is willing to consider instructions funded by way of a conditional fee agreement in appropriate cases. Sarah has recently lectured on retracting admissions of liability and important updates in respect of the CPR (including costs budgeting and the interplay between the new rules on proportionality and additional liabilities). She is more than happy to provide lectures on appropriate topics. Sarah also has an extensive employment practice, giving her an invaluable insight and skill set when dealing with cases involving employer/employee disputes. In particular, Sarah has gained considerable experience in matters involving restraint of trade, and thus regularly advises on the enforceability of restrictive covenants and whether or not an interim injunction should be sought. Advising an accountancy partnership in relation to breach of contract and interim injunction proceedings against a former partner for breach of a non-solicitation clause. Acting for a hairdressing salon in relation to breach of non-compete and non-solicitation clauses. Advising a dental practice in relation to a breach of agreement claim regarding non-poaching of employees and repudiatory breach of contract. One of the issues was whether or not the covenants were too wide. Advising a company in a claim against a former director for breach of confidentiality, breach of fiduciary duties and losses flowing therefrom. Involved evaluation as to whether consideration was provided given that the covenants were entered into some time after employment commenced. Acting for the defendant former employee in a pre-action disclosure application, in which allegations of breaches of confidentiality, non-solicit and non-compete clauses were made. Involved allegations against the employee’s new company of procuring a breach of contract. Acting for a former employee of a high-end dating site in a matter involving alleged breach of confidentiality, raising issues of the public interest defence and whistleblowing. Acted for a community council in an interim injunction application involving allegations of breaches of the Equality Act. Acted for the claimant in a claim for sums due under a personal guarantee, involving issues of consideration, misrepresentation and non est factum. Acted for the defendant employee and his new employer in an interim injunction application in the High Court. Sarah has recently lectured on restrictive covenants and the various remedies available and is more than happy to provide a lecture on an appropriate topic. Experienced in a range of employment matters, from discrimination claims, whistle-blowing and unfair dismissal to TUPE. Her crossover into commercial and personal injury matters lends itself well to her work in employment mandates. "A brilliant cross-examiner who is able to present her case in an exceptionally convincing manner." "It's one thing to prepare and turn up with a script, but what really impresses me is her ability to handle situations when things go wrong and the witness bowls a googly: she makes it look like it was planned all along while subtly adjusting her approach." 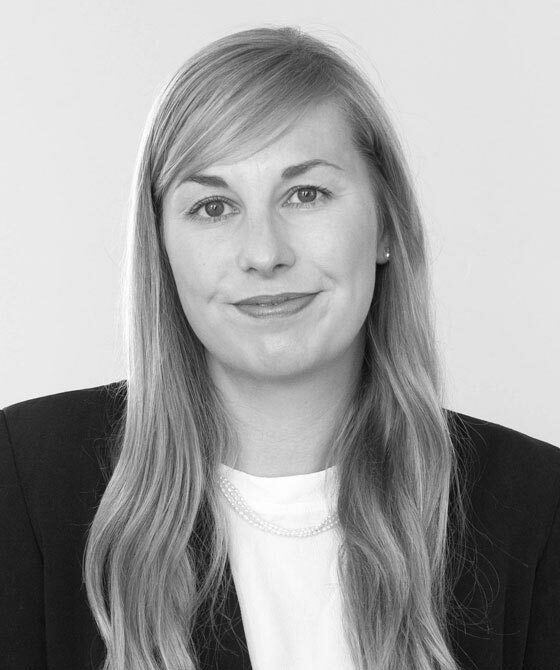 Sarah Clarke is qualified to accept instructions directly from members of the public and professional clients under the Direct Public Access scheme.